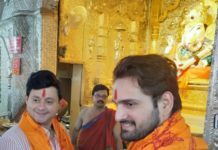 Swapnil Joshi Upbeat About ‘Mumbai Pune Mumbai-2’! Home Interviews Swapnil Joshi Upbeat About ‘Mumbai Pune Mumbai-2’! Swapnil Joshi is one hot property in Marathi cinema with super hits like ‘Duniyadaari’ and ‘Mitwaa’ and he is raking in the moolah at the box office. Swapnil’s path breaking romantic drama ‘Mumbai Pune Mumbai’ was a cult classic and now it’s sequel ‘Mumbai Pune Mumbai-2- Lagnala Yayche’ is all set for a grand Diwali release. We spoke to the boyish looking cute star about this film and this is what he has to say. Why so long for a sequel? Unfortunately we couldn’t lock the right script for four years and also the director Satish Rajwade and my leading lady Mukta Barve got very busy and couldn’t make time for this project and hence it was delayed but now everything has fallen in place and the film is looking very good. 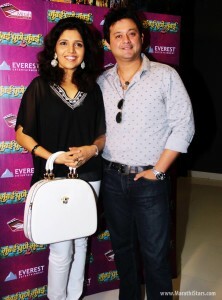 Even the producers Amit Bhanushali and Sanjay Chhabria of Everest Productions were very busy. Is the story line similar to the prequel? Not really. It takes off from where the prequel ends and there is a different storyline and romance and drama is still an integral part of the film as will be the music. How was it like working on the sequel? It was great and felt just like good old times when we did the first part and director Satish Rajwade is still his same genial self and has made a very good sequel which I am sure will do better than the first part. Mukta too is very easy going and it was wonderful to work with her. You are a big star now and command a high fee. Anything changed for you? No. I am the same and I will never change even if I become a big star and I never consider myself as a big star. Big Hindi stars like Shahrukh Khan and Akshay Kumar have signed you for their Marathi productions. Your thoughts? What can I say? I am happy and hoping that I fulfill the high expectations from me. What about this trend of sequels in Marathi cinema? Yes. After the success of Time Pass 1 and 2 , I feel it is here to stay. 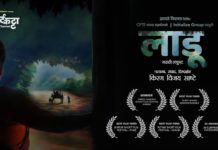 Previous articleShegavicha Yogi Gajanan (Marathi Movie): Trailer!